In this installment of the photographer interview series we're talking with photographer and writer, Andrew S Gibson. Andrew S. Gibson is a writer based in New Zealand. His interest in photography began when his parents bought him a Ricoh KR-10m camera more than 20 years ago. Since then, he's taken photos in over 60 countries, studied for a degree in photography, and worked as Technical Editor for EOS magazine. Today, he makes a living helping people take better photos. I got to know Andrew through his writings on Digital Photography School. I wanted to feature him in my interview series because he is an excellent writer and teacher, especially in the area of Lightroom, I think you will enjoy his work and thoughts. There has been no single large influence on my photography. Rather, it's a steady accumulation of many influences, a small push here, a borrowed idea there. Increasingly so in our modern online world as there is so much accessible photography at our fingertips. Every week I come across the beautiful work of at least one photographer I'd never heard of before. It all accumulates, is all synthesized by the unconscious mind. What is failure? So many times I've read that you only fail when you give up. Perhaps I'm lucky in that I've had no big failures. I seek to build on what I already know, I keep learning and keep practicing. My photography, writing and business skills improve as I do so. It's very nice to be able to earn a living as a writer, writing about something that I love as much as photography. I ended up where I am today almost by accident. It all hinged around the moment when I was reading some of David duChemin's early eBooks and realized that I could write an eBook myself. I debated whether to do it. I read David's profile and the profiles of other Craft & Vision writers. They were all people who had achieved far more in their careers than me. I felt intimidated but what was there to lose? I didn't think there was much point in sending an outline, so I wrote my first eBook (The Magic of Black & White: Part I – Vision) in my spare time and sent it to David. He liked the idea and published it. That started the process that enabled me to leave my job and work for myself. My 85mm f1.8 lens. I use it for most of my portraits and many other photos. 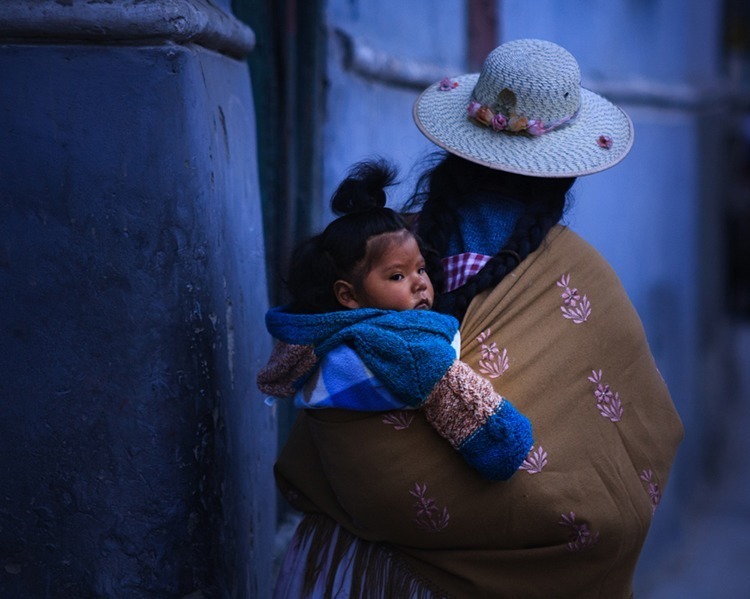 This photo taken in the remote Andean village of Iruya in north-west Argentina. I like the juxtaposition of the beauty of the scene with the people walking home with the donkey. The people give the landscape scale. I imagine this scene looked little different a hundred or two hundred years ago from what it does today. I don't have a single favourite image from another photographer. There is so much beautiful work out there that it would be impossible to choose just one. I can't even give you influences, there have been so many over the last 20 years. But an early one would be Galen Rowell. 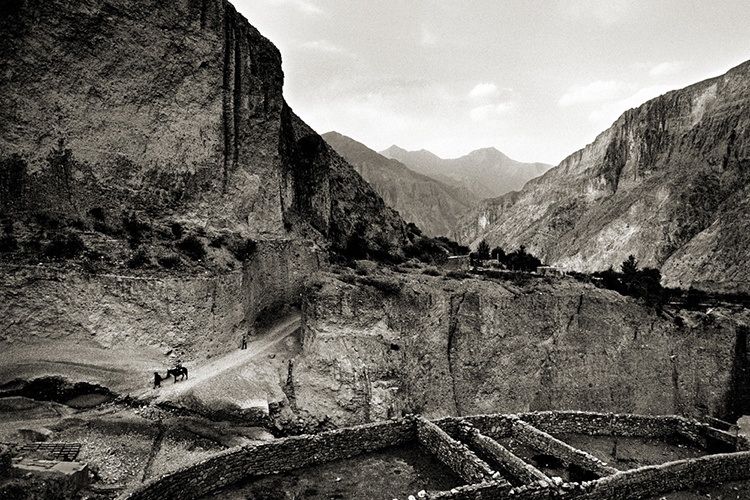 His photos of mountains were an early influence and inspired me to travel to mountainous regions such as the Andes. Pick a single skill that they want to improve (for example, portraiture) then learn everything they can about it and practice, practice, practice. No. But it would be nice if the infrastructure that exists today that enables me to earn a living (broadband internet, WordPress, PayPal, internet banking, social media etc.) existed twenty years ago. However, that would rely on my having the wisdom and foresight at that age to create the type of business that I run now. That's the only thing that comes close to being a regret – what if I had been able to start what I do now ten or twenty years before I did? How much further ahead would I be? 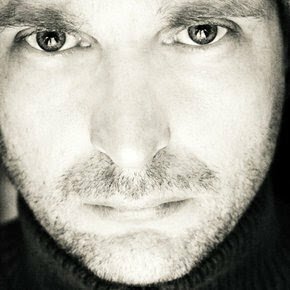 Andrew is an accomplished photography educator himself, having written a number of affordable books (~$10 each) on photography and Lightroom. 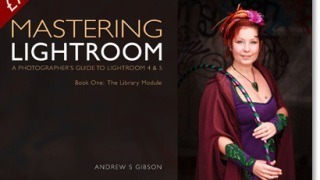 Mastering Lightroom: Book One– The Library Module. Shows you how to use the Library Module to import, organize and search your images. This important task lays the foundation for the work you do in Lightroom. Mastering the Library module ultimately saves you time, which you can spend either in the Develop module or with your camera. Either way, you end up with more hours to be creative. Four books in the Mastering Lightroom series, all available from his site and with a bundle price as well.